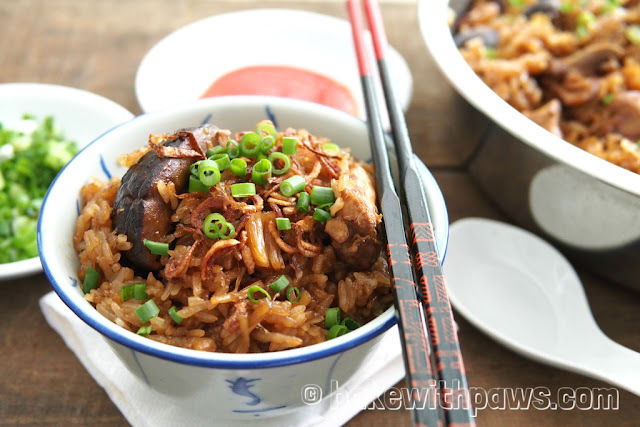 Steamed Glutinous Rice, Lor Mai Fan (糯米飯)! 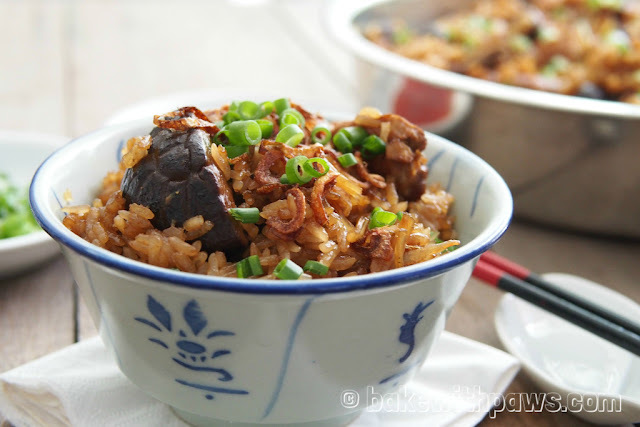 During my trip to Singapore recently, I saw a recipe for Steamed Glutinous Rice in a cookbook while browsing at the bookshop at Changi Airport. I read it and I managed to cook it for dinner a few nights ago. I think I managed to recall most of the ingredients although I guesstimated the quantities. 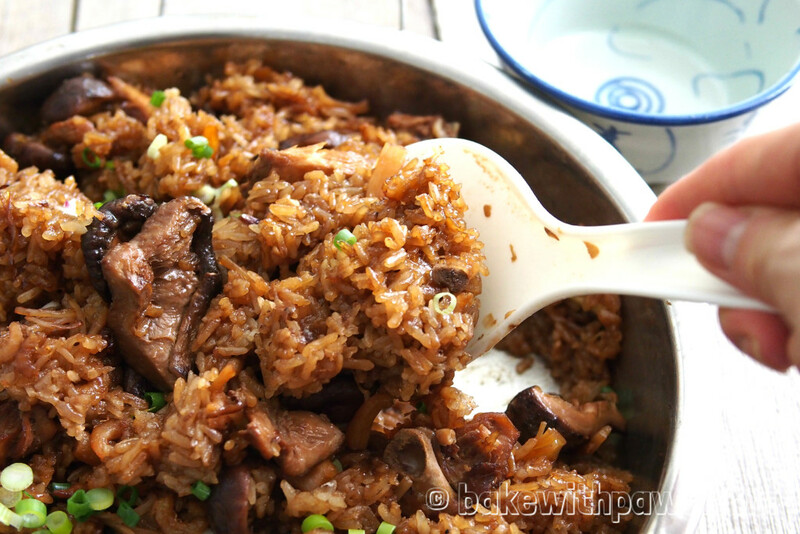 This recipe works well and my family enjoyed it! If you have any question on this recipe or any other post please leave them in the comments above “LEAVE A COMMENT” and I will reply you as soon as possible. Lemon juice extract from 1 lemon or 2 tbsp white vinegar. 1. 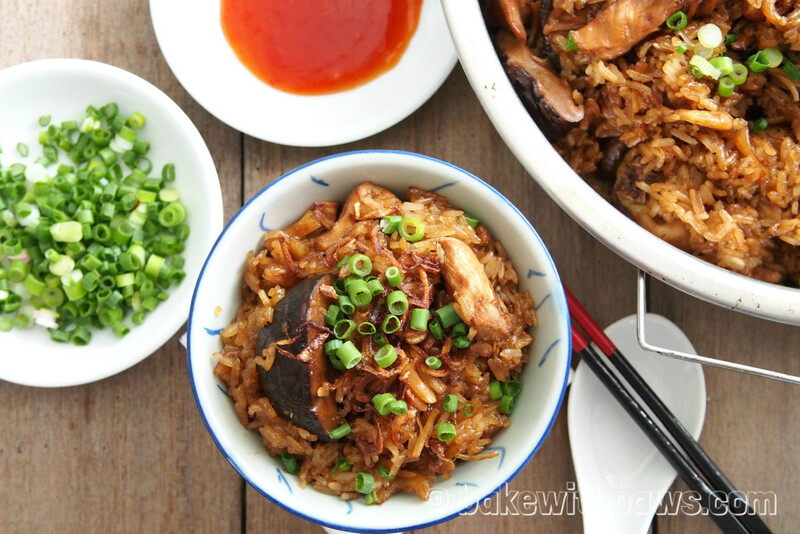 Soak glutinous rice with water and add lemon juice or white vinegar for 3 to 4 hours. Drain well. 2. The reason of adding lemon juice is to reduce the stickiness. 3. Marinate chicken with the seasoning ingredients. 4. Heat some oil in a wok, stir-fry shallots till brown and crispy. Remove the fried shallots and keep aside. 5. Add garlic to the remaining oil and stir-fry till fragrant. 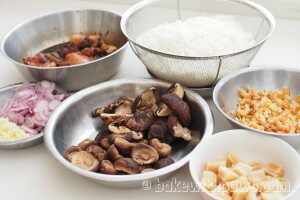 Then add in dried shrimp, dried scallop, mushroom and the marinated chicken with the seasoning. Stir-fry for a short while. 6. 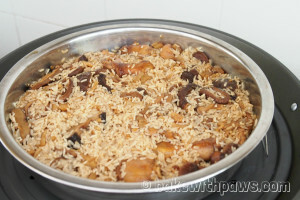 When the chicken turn white, add in the glutinous rice and 350ml water. 7. Transfer all ingredients from the wok to a steamer tray. Steam over high heat for 30 minutes or until rise is cooked. Remove from steamer. Serve hot, garnish with spring onion and fried shallot. I substitute the 350ml water with water used to soak dried scallop and mushroom.